You will have the unparalleled opportunity to learn first-hand from these wise elder Yachaks (Shamans), and to personally experience their powerful healing ceremonies, many taking place in their own homes. They will share with you the Andes cosmology, their perspective of life, and their individual traditional healing practices that have been passed down through many generations. 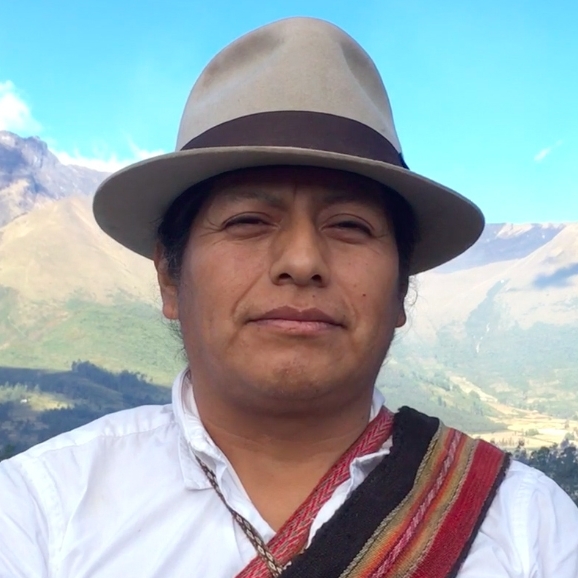 Don José Joaquin Pinéda is a 5th generation Yachak and member of the Sacred 24 Yachaks Circle of Imbabura. He began at the age of 8 by connecting to the natural elements and started performing healing ceremonies at the age of 14. He was born in the famous village of San Juan de Iluman that is renowned as the home of very powerful Yachaks, predating the Incas. Don José is a powerful and renowned healer who treats people from all walks of life in Ecuador, and from around the world. He also teaches and holds shamanic ceremonies, and healings in the US and Europe. Taita Don Esteban with son Jorge and grandson Esteban. Don Estéban Tamayo lives in village of Carabuela. He was destined to become a shaman when he "cried out three times in his mother's womb." Don Estéban learned his medicine and healing craft from his father and great-grandfather, and he has passed his wisdom on to his two sons Jorgé and José. He carries with him the destiny of fulfilling his ancestors’ prophecy of the Eagle and the Condor. Joined in sacred union to the mountains, land and sacred waters. They perform ceremonies throughout the world, with each one adding his unique talents and energies in healing ceremonies. Dona Maria Juana with her two sons. Raul and Jose. Maria Juana Yamberla resides in San Louis de Agualongo on the slopes of Imbabura mountain in the Otavalo region. Although tiny in size, she is known as the most powerful and fierce medicine woman in the region. Maria Juana’s expertise is as a midwife, and in the area of women's health. She prides herself with the power of her healing prayers that go directly to God. Since the passing of her husband Antonio, her son Raul assists her in her healing work. 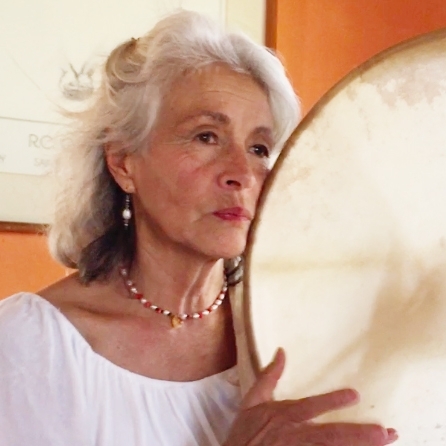 Maria Juana heals by performing la limpia, and using pendulums, flowers, dolls, sacred alcohol, bodywork, massage and additional methods when needed. Don Alberto Taxo is a master Yachak of the Atis (Kichwa) people from the Cotopaxi region. He was given the highest honor of Master Yachak by the Shamanic Council of South America. He generously shares ancient Andean wisdom and practices with people who seek happiness, balance and fulfillment. He is the author of two books. Don Alberto invites us to connect with the elements of nature—Earth, Air, Fire, Water, and the 5th balancing element known as the Ushai. Through simple habits and practices in daily life, he teaches us to feel the sacredness of each moment and every place. Don Jacho Castelo is from Quito. He is known as Taita de la medicina indígena (Father of indigenous medicine) from the Kichwa tradition. A community organizer and teacher, he is a healer and therapist with more than 30 years of experience. Jacho specializes in teaching the sacred body movements that connect us to the sun and the Universe. He is also a researcher of indigenous culture, spirituality, and natural medicine. 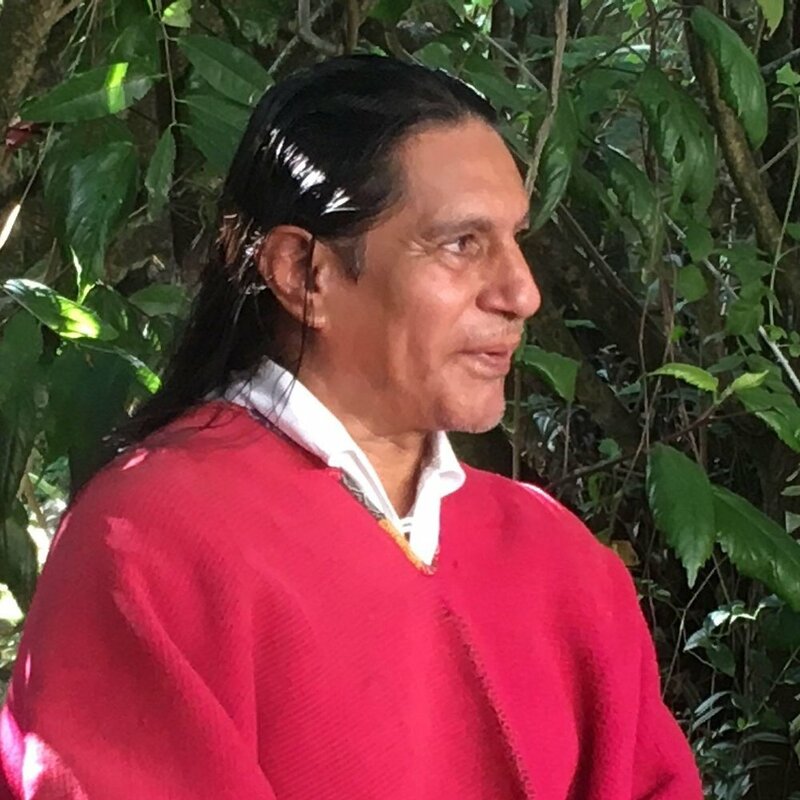 With his vast knowledge of Andean medicine, plants, and oils, and a profound cultural understanding, Jacho is a unique and rare teacher and healer. He shares ancestral secrets for health without medications, and techniques to raise vitality and internal energy. Don Oscar Santillan, also known as Kuricharik (gold or sun in the heart, one who possesses the treasure), is from Agato, in the province of Imbabura. 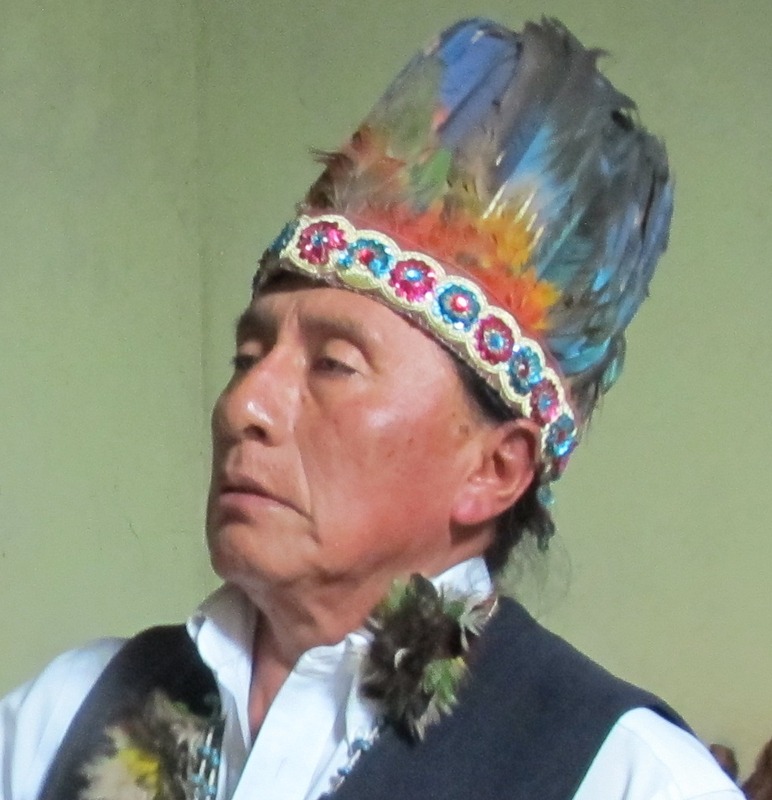 He is a 7th generation sound healer, community leader, and teacher of traditional Andean wisdom. His family has preserved the wisdom and music of their culture for centuries. Their lineage centers on opening the heart, and on the natural elements, and bringing the natural world actively into our lives. Along with his family, he has created Pakarinka Sisari, or Center for Ancestral Wisdom. Don Oscar performs sound healing ceremonies utilizing unique instruments including a 4000-year-old stone pan flute, and flutes made from condor feathers. Don Shairy is a Kichwa from Peguche. On a pilgrimage to the sacred mountain of “Tayta Imbabura” it was revealed to him that his life mission was to help humanity in the process of healing afflictions and dis-harmonies of today. He utilizes Takysamy Healing, the sound vibrations healing system of voice, sacred musical instruments and plant medicine. He is the author and teacher of Condor Medicine: The Seven Teachings of the Andes Condor, a powerful guide created by observing condor parents teaching their young to fly. Shairy fashioned the Condor’s teaching into an important guide to support the life and growth of youth. He shares all this wisdom in the form of ceremonies, healing concerts, personal consultations, and workshops throughout the US and Europe. Doña Maria Clemencia, well known in the world as the 'Shaman from Zuleta' –her birthplace village–resides in the village of Peguche, nearby the famous Las Cascadas de Peguche, the sacred waterfall of Peguche. It is considered an Indigenous Ceremonial Site due to the purification baths held here a few days prior to the Inti Raymi celebration (Sun and harvest celebration, June 21st). She practices ancestral Yachak ceremonies such as La Limpia, the energy cleansing ceremony to remove negative energies, jealousy, envy, bad luck and problems in relationships, and she heals many illnesses. She utilizes traditional tools in her ceremonies. As an elder, Doña Clemence also teaches the next generation of Yachaks. Taita Manuel with Henry and his younger family. Don Manuel is a member of Tsachila tribe of Santo Domingo de Los Colorados. They are believed to be the holders of secrets of the rainforest, and of healing powers that would heal whenever western medicine or other shamans had failed. He is an expert in energy purification, Plant Medicine and Temazcal (sweat lodge). Legend has it that they are Tainos who fled Puerto Rico when the Spaniards conquered them. The Tsachila mens’ unique hairstyle is fashioned to look like the seedpods of the red achiote, which they used when their shaman asked Spirit to guide them to cure smallpox that had ravaged their community. They were guided to an Achiote bush. A few days after they covered themselves with the red juices of the seedpods, the mortality in the group was drastically reduced.